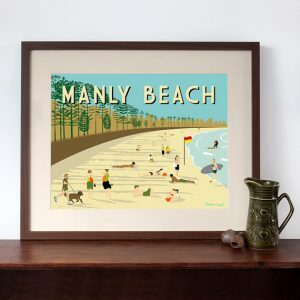 Modern Retro Art Print of Balmoral Beach in Sydney. 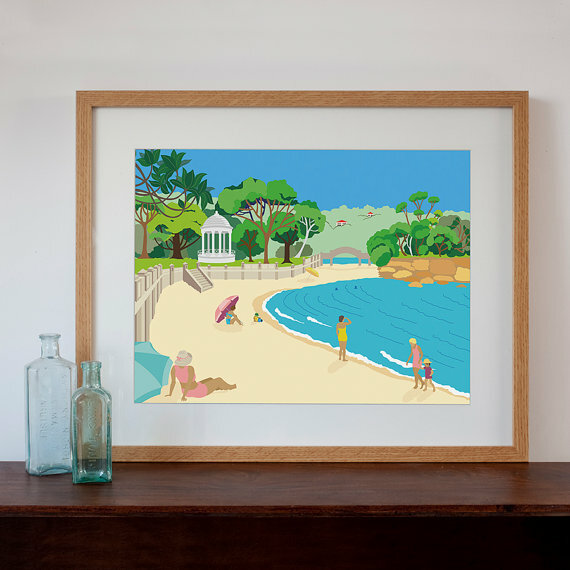 Inspired by a visit to Balmoral on a warm, sunny, summer’s day, I wanted to capture the feeling of the Australian bush next to the beautiful beach. Featuring sunbathers inspired by another time, in retro swimwear.